Shockwave cellulite therapy consists of high-energy acoustic waves applied to the skin in order to reduce cellulite. This treatment reduces the appearance of cellulite by stimulating cellular metabolism and exchange of blood lipids, inducing the production of new collagen and elastin fibers and stimulating blood and lymph circulation. Powerful shock waves cause fat cells to be mobilized. Triglycerides are released and circulate as they reshape and reduce fat accumulation. Shock waves also act on microcirculation by stimulating tissue oxygenation, as the problem of cellulite stems from fluid retention and fibrosis. The treatment is painless and consists of weekly sessions (usually 6-8) that are 30-45 minutes long. There are no side effects associated with this procedure. 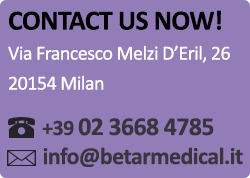 Contact our center in Milan to find out information about shock wave cellulite therapy and other cellulite treatments.